Last week the world commemorated fifty years since the first space walk. 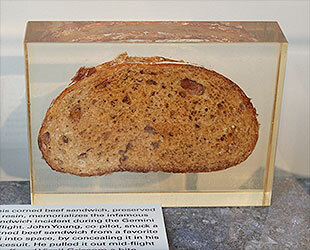 Today we should be rejoicing in the less known – but for space food enthusiasts far more significant – 50th anniversary of the very first Earth food-as-we-know-it to appear in the United States’ space programme: a corned beef sandwich. On 23rd March 1965 Command Pilot Virgil ‘Gus’ Grissom and Pilot John Young spent almost 5 hours in orbit in Gemini 3, successfully testing various aspects of manned space flight, including the food. Yet they came down to Earth with a bump, becoming the subject of excited news headlines and furious discussion at a US Congress House Subcommittee hearing that resulted in an official reprimand for John Young. What could possibly have happened? At least part of the answer lay in the food.The astronauts obediently sampled the securely packaged ‘official’ hot dogs, brownies, chicken legs and applesauce they had been provided with, washed down with germicide-protected water and orange juice. 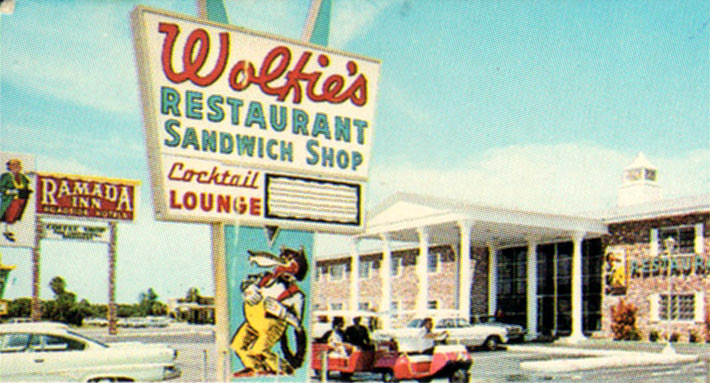 But then, to Gus Gissom’s surprise, John Young produced from his pocket some illegal contraband – a fresh corned-beef sandwich from Wolfie’s Restaurant in Cocoa Beach, smuggled to him immediately pre-flight by Walter Schirra (another astronaut who was not flying that day). They gave it a taste, commented on the food smell (notably absent from the ‘real’ space food), and shoved it back in a pocket as it started to crumble. It was over in less than half a minute. The repercussions were felt all the way through the Apollo missions. There were lots of reasons given for all the fuss. The US space programme was notoriously paranoid about crumbs, making a bread-clad sandwich seem the height of irresponsibility. It also seems to have been a question of control: in a billion-dollar mission with the eyes of the world upon it, there wasn’t much room for a sense of humour, and individuals simply couldn’t be allowed to introduce additional, unauthorised ‘human’ risks. If sanctioned, a contraband sandwich could be just the tip of a very significant iceberg. Most of all, perhaps, it was the contrast in the Cold War era headlines. There is a wide gulf between the heroic potential in “Cosmonaut (USSR) achieves first space walk” versus “Astronaut (USA) eats first space sandwich” – despite its subsequent significance to food historians. For more on this incident see my 2010 article for Endeavour, on this site under ‘Publications’, and at Academia.edu.